Sophia Trozzo is a Grade 12 student at St. Jean de Brebeuf Catholic High School in Woodbridge, who is always looking for a way to get involved. She participates in her school’s president council, eco club, and has been a member of the school’s varsity swim team for four years. She is also the president of the school’s companions club this year. Sophia advocates for a school environment that is inclusive for all students. In April, 2017, Sophia was elected to serve as a Student Trustee for the YCDSB. In her role, she is able to bring student voice to the Board table and connect with the YCDSB trustees and senior administration. Apart from school, Sophia is a qualified swim and first aid instructor. She has her standard first aid and CPR qualifications in accordance with this. She strives to bring awareness in her community by volunteering for fundraisers and events. Last year, Sophia co-created a Twitter campaign that coined the title #WeAllLearn and was recognized by various organizations including the Shining Through Centre for Children with Autism, the Ontario Branch of the International Dyslexia Association, and the Ontario Autism Coalition. She plans to stay involved this year by creating an event in which siblings of children with autism can connect and share their unique stories. Imagine a puzzle large enough to encase the world. Each piece representing a unique individual, with colours and designs related only to one individual. With students in the limelight, it is possible to see why a puzzle accurately represents our journey through elementary and secondary school. I believe that all students have an equal potential for success, no matter the size or shape of their piece added to the puzzle that is this world. School attempts to drive that potential forward as we spend a substantial portion of our lives learning and growing in this environment. Students, I speak directly to you when I say, leave your mark. That’s what I’ve learned in all my years in elementary and secondary school. Whether it is through being named captain of your school’s basketball team, or simply joining a new club or council, never be afraid to express your interests. No voice should go unheard. 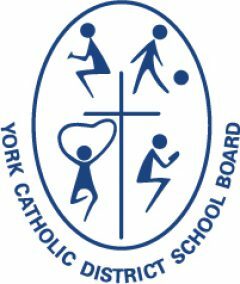 Through my work here at YCDSB, I will strive to voice all student needs and concerns to the best of my ability. I am eager to hear from students, so please feel free to contact me at any time via email, phone, or Twitter. I am always willing to listen to your ideas, thoughts, or concerns because I believe that every voice holds great power that can, without a doubt, change the world.